Lovely card with a very cute image Bunny. Cute card. Thanks for joining us at the Sweet Stampers Challenge. We would love to see you again. Love the frantage! It give the perfect snow effect! This color combo is one of my favorites for this time of year! 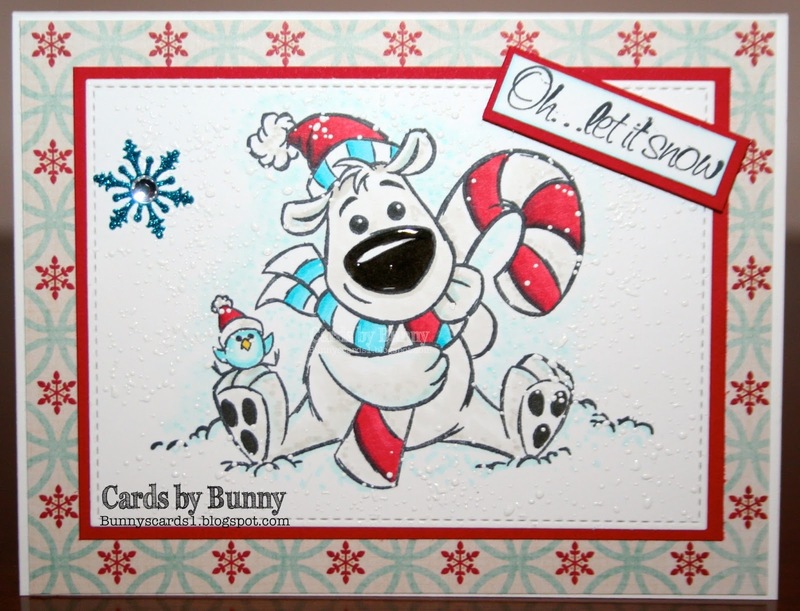 Thank you for joining us at Crafty Sentiments for our Winter challenge. Thank you for joining us at Brownsugar Challenge. I hope to see you again. Aww he's so cute! I love his shiny nose. Thanks for entering our challenge at AYLI this week. These image is so cute and I love the way you framed them in your awesome card. We are grateful you joined our 613 Avenue Create's November Challenge. Hope you link with us again. God bless!